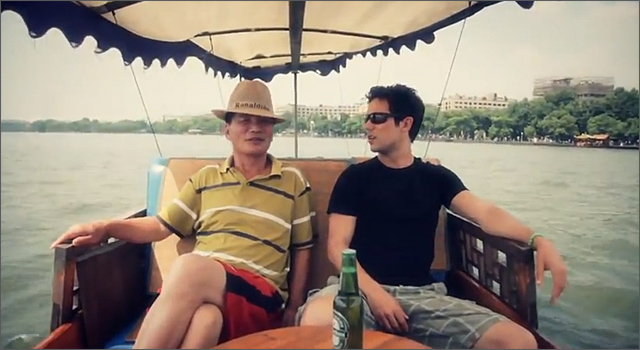 Coca Cola has been rolling out viral videos of their Happiness Machine projects around the world since early 2010. From campus visits in Queens, NY and London to shopping malls in Oslo and São Paulo, the vending machines handed out everything from sandwiches to Twister games to pairs of skis along with armfuls of free coke. The Coca Cola Friendship Machine: on Día del Amigo (Friend’s Day) in Argentina Coke installed an extra tall coke vending machine with a special 2×1 offer. The only problem was the coin slot and selection buttons were too high for any one person to reach, so basically you needed two people to work together to be able to take advantage of the two for one offer. Happiness Machine for Couples: On Valentine’s Day in an Istabul shopping mall Coke set up a vending machine with cameras and remote control. All people needed to do to get a free coke was to porve they were a couple with a hug and a kiss. The latest Happiness Machine was set up at the National University of Singapore. The installation featured a vending machine with the inviting words ‘Hug Me’ where the Coca-Cola logo would normally be. 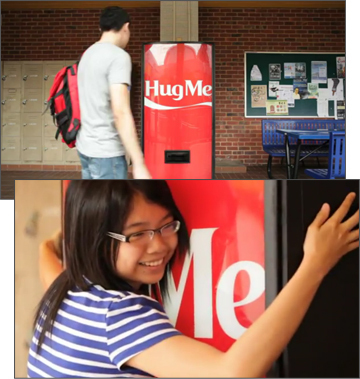 When students hugged the machine, either by themselves or as a group, the machine would provide them with a free coke. While some blogs have inferred that the machine actually responded to the action of hugging, I highly suspect it was simply another example of remote control activation similar to the Istabul machine. In the end it doesn’t matter, as the students seemed to have a lot of fun. In a statement as part of the company’s Open Happiness campaign, Leonardo O’Grady, Coke’s Asia Pacific Director for Sparkling & Activation Platforms, said: ‘Happiness is contagious. The Coca Cola Hug Machine is a simple idea to spread some happiness. Marketing gurus behind the stunt hope that it will encourage consumers to ‘bring positivity, optimism and fun into their lives’ and to ‘open a Coke and share a little happiness’. The machines have been such a success that there are plans to roll them out across Asia. 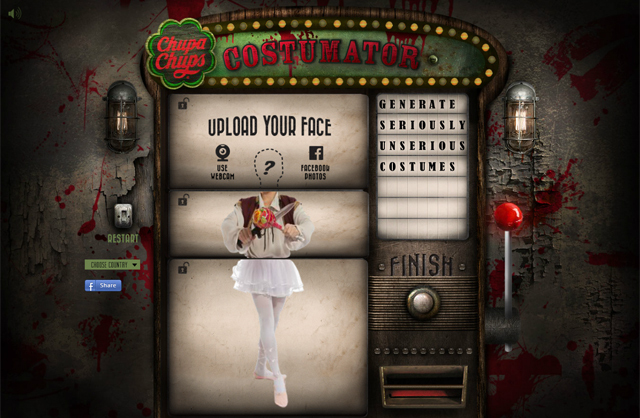 The Singapore ‘Hug Me’ Happiness machines was created by Ogilvy & Mather.